• Last few copies of Harriet. Markets. There have been a few troubling moments this past month reading in for the chapter of the book I’m working on, and much thought on how to deal with it. The story concerns a soldier-settler family in Australia – a real family – and falls into three parts: First War … Between the Wars … Second War … trying to show the long-term effects of the Great War on the returned men and their families. I’m up to the mid-Thirties, and one of the sons has gone to Palestine as a mounted constable with the British Police.It's a time of increasing tension and fighting between the Arab population and the growing numbers of Jews settling there following the rise of fascism and persecution in Europe. The young man’s letters home give a fascinating insight into the origin of events that tragically continue to resonate today, and of attitudes that can still persist … in particular a sense of European racial superiority over ‘wogs’ and ‘dirty Jews’ that makes for some very uncomfortable reading. It’s true his views changed when he actually began to know the people themselves. Wogs became ‘native coppers.’ The Bedouin women he thought beautiful. Arab cooking, properly done, ‘took some beating.’ And when at length he was sent to look after a Jewish colony, he found ‘some quite good blokes’ among them. It’s also true that anti-Semitism was quite widespread in the Thirties. We find it writ small in some of Agatha Christie’s novels from the period, for example. Hitler branded it on the world’s conscience. The salutary lesson surely is that we must always deal with people as individuals and not as group stereotypes ... be they of different races, religions, cultures, refugees, or people living in just another suburb of our own city. We can never tell where prejudice may lead if left unchecked. And the past throws long shadows. Which is the point of my book, of course, and the only way to deal with the material when it comes to the writing. There was a wonderful surprise in early December, when I was contacted by email from England by a man who had an 1832 copy of a world map signed by – of all people – Admiral Isaac Manley, the last survivor of the Endeavour crew and the subject of my book Captain Cook’s Apprentice. More to the point, the map was offered for sale at a price within our reach: so of course we bought it and found it waiting at the Post Office for us when we got back from Melbourne. A splendid belated Christmas present. First published by the Fleet Street firm of R.T. Laurie in 1831, it consists of a single sheet mounted on linen, the outlines of the principal countries hand-coloured. It unfolds from two end-boards like a small book, although the original leather spine has worn and is now missing. 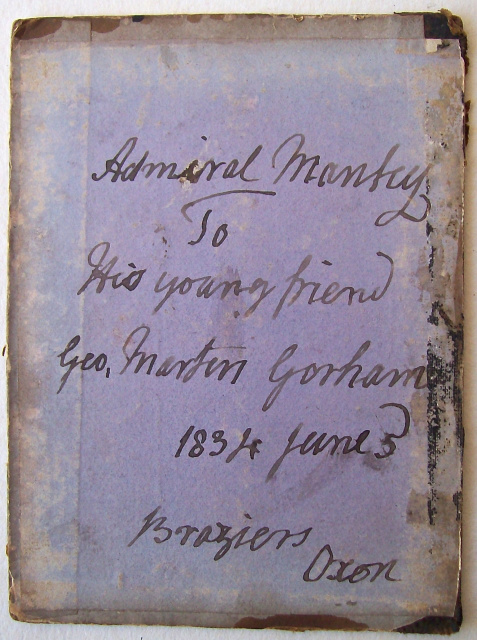 The most interesting part for me is the inscription written in ink with a quill pen on the blue inside front paper: Admiral Manley To his young friend Geo Martin Gorham, 1834, June 5, Braziers Oxon. Now I know Isaac’s signature from other documents, and this one is certainly correct. He died in 1837, two years after Mrs Cook, so the date is plausible. And I’ve stayed in his lovely 18th century gothic house ‘Braziers’, in Oxfordshire. That part fits. And so does the other part. A search on Ancestry revealed that Admiral Manley’s young friend, George Martyn Gorham, was in fact only five years old in 1834. He was born at Clapham in London, where his father the Rev George Cornelius Gorham was the resident curate. He subsequerntly became curate at Maidenhead, Berkshire, not all that far from Braziers. Possibly this is where the two families met, and it was quite possibly during a visit to Braziers that the Admiral gave young George this Map of the World. The boy would certainly have been fascinated by Isaac’s tales of sailing as a servant on Endeavour half a century before, when the great Cook circumnavigated the two islands of New Zealand and charted the east coast of Australia … placing them on the European maps for the first time. We still are. There’s a quite poignant postscript to this story. Forty years later, when George Martyn Gorham had himself become a clergyman and was the vicar at Masham in Yorkshire, he gave the map to his daughter, Edith. On the blue end paper opposite Isaac’s signature, he wrote: Very old Vicar G.M. 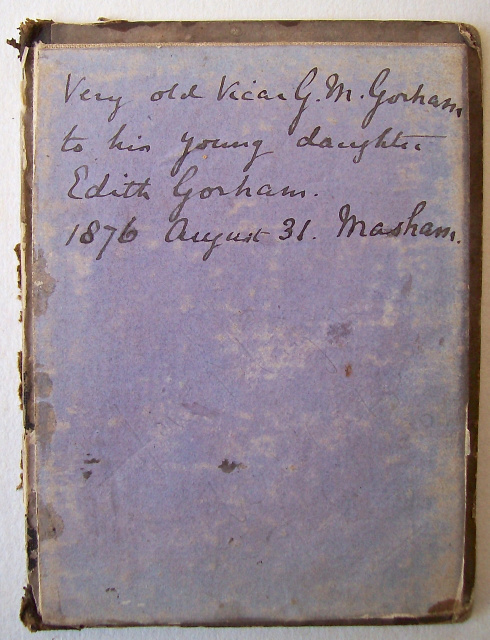 Gorham, to his young daughter Edith Gorham, 1876, August 31, Masham. George had married in 1855 and there were four children: Alfred, who became a barrister; a daughter Mary; another son Charles; and a second daughter, Edith, who was aged about eleven in 1876. All were born at Walkeringham in Nottinghamshire, where George Martyn was then vicar. In any event, it’s clear from the tenderness of the inscription that the Gorhams were an enlightened family. The disabled children were not shut away, as often happened at that time. They were given an education, as witness the map; and in fact both Charles and Edith went on to become artists. In the 1881 census Charles Gorham, then 19, was living with the family of a Missionary to the Deaf and Dumb at St Werburgh in Derbyshire, where he was a draughtsman. A decade later he was working as a lithographic artist, became honorary secretary of the Deaf and Dumb Association, and was founding editor of The Deaf and Dumb Times. Edith was listed as an artist in the 1891 census, and again in 1901 when she was living at Bushey in Hertfordshire, with another woman artist, Elsie Higgins, who was a boarder. Edith exhibited at the Royal Academy in 1907; Elsie exhibited 11 times with the RA between 1895 and 1916. The women were still at that address when Edith died in 1941, and left her estate of over £5400 to her friend. Perhaps it’s from there that the map has passed down to my care. Anyway, it’s a lovely thing for any author to have to remember the subject of a book. George Martyn Gorham lived until 1904 when he died at the age of 75, still the vicar at Masham. He left an estate of £12,871 ($25,740), a considerable fortune in those days. I’m hoping to get a copy of his Will, which should round out research for the article I’m writing for The Captain Cook Society journal. When Captain Cook’s Apprentice went out of print last year, the main reason Penguin gave was the changes being made to the new schools’ National Curriculum. As the work is still available as an eBook, and there’s not much I could do about it, I put it down to the economic upheavals in the publishing world, made few further enquiries, and ‘moved on’ as they say. You can imagine my surprise when the public debate erupted last month over the Government’s decision to review the curriculum, and it emerged that James Cook isn’t even mentioned in the lengthy document. I had a quick online search of it myself: not only could I find no mention of Cook, but the names of Abel Tasman, Matthew Flinders and Nicolas Baudin also produced no results. Quel horreur! The situation’s perhaps not as dire as it seems. 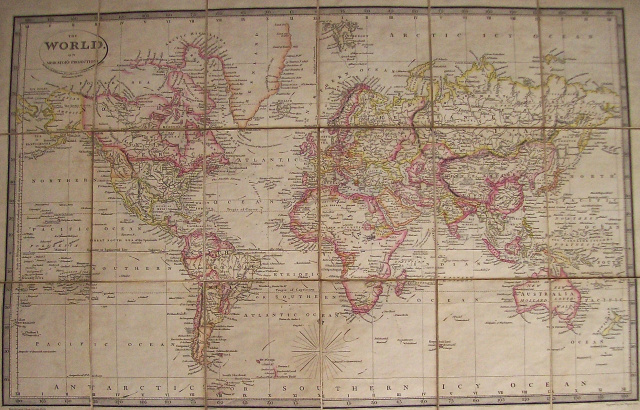 Students have to use maps to study the journey of at least one or more world navigator, explorer or trader. But I can’t help thinking that one isn’t quite enough. These journeys have to be seen in context. How can any student really understand the modern history of this country or the opening of the Pacific in general by the Europeans, without some knowledge of the voyages by the principal Dutch, British and French navigators … and the Spanish and Portuguese before them? If the review of the National Curriculum is able to bring rather more academic depth and rigour to the discipline, it seems to me something to be welcomed. It was a grand day at the Australian War Memorial on Sunday 23 February for the first commemoration event for Animals in Service. Present were quite a few army Explosive Detection Dogs (EDD) from the School of Military Engineering, including the famous Sarbi, who was lost for 14 months in Afghanistan until reunited with her handler. There were mounts and riders from the Australian Light Horse Association … birds from the Canberra Racing Pigeon Combine, with members speaking about the ability of homing pigeons to carry messages and save lives in the two World Wars. Horrie the Wog Dog … the ship’s cat Red Lead on board HMAS Perth … Murphy, the donkey at Gallipoli and his Simpson, at whose statue wreaths of purple poppies were laid … Sandy, the only Waler horse to come home in 1918. There were some 350 people (and 30 dogs) at the commemoration service in the morning, and over 500 at the Last Post Ceremony in the afternoon, when special tribute was paid to Sapper Darren Smith and his EDD Herbie, who were both killed in Afghanistan in 2010. In a poignant moment, the army dogs in their scarlet jackets lined the Pool of Reflection with their handlers. Overall, numbers going through the AWM galleries were up by 1500 people on a regular Sunday. 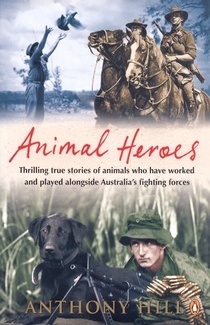 It’s a sign of success and I hope the commemoration to the Animals on Service will become a regular feature of the AWM calendar. Check out the Flickr link on the AWM site here for more photos. It was a privilege to speak to the members of the Australian Bravery Association at their annual dinner in Canberra on 15 February. They are wonderful men and women and young people from both the military and civilian spheres, who have been honoured for risking their lives to save life, property and the environment. And their actions brave and bold. Lived and fought and served and died. 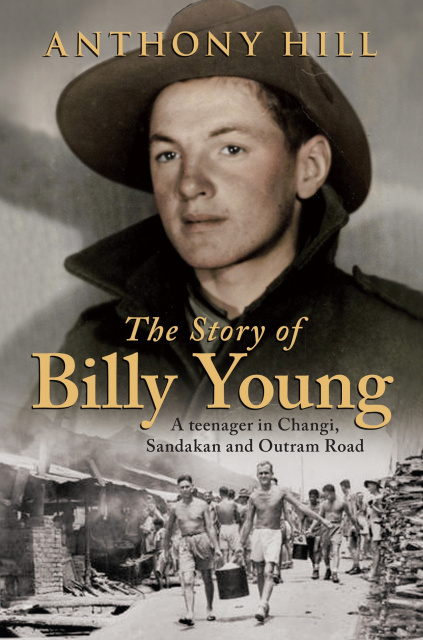 Penguin has advised there will be a special promotional price for the eBook of The Story of Billy Young, a Teenager in Changi, Sandakan and Outram Road during the Anzac Day period. From 18 April until 2 May the price will reduce from the standard $19.99 to a very favourable $4.99. Please note the dates. The link to the Penguin site is here. Billy hasn’t been too well recently, in part a result of his POW injuries. 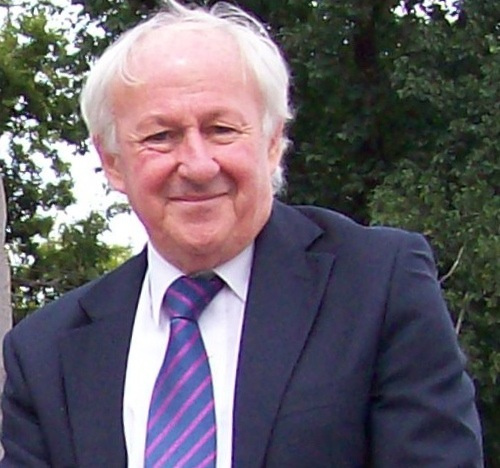 I’m sure that readers of our book and all who know and admire him will wish Bill a speedy recovery. • Meantime, my friend Tim Bowden has just published a history of POWs at Outram Road Prison called Stubborn Buggers. It adds further testimony to the horrors of that place as experienced by Billy Young, allied POWs and countless thousands of civilians during World War Two. You'll find details on Tim’s website here. 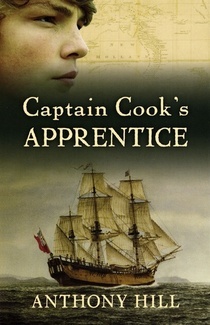 The remaining copies of Captain Cook’s Apprentice and Lucy’s Cat and the Rainbow Birds have now been sold. However, I still have six copies of Harriet available for my Newsletter readers. 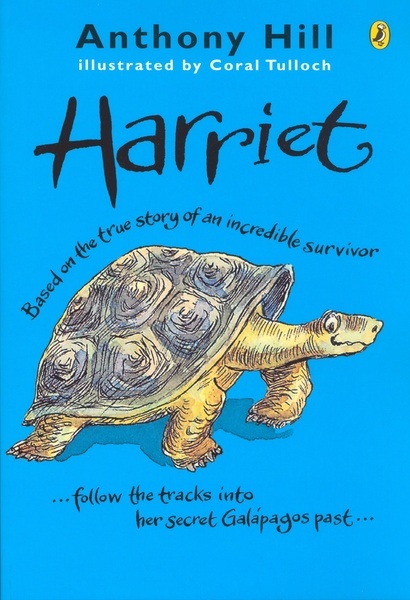 • Harriet, based on the life of an amazing Galapagos tortoise, costs $17.95 plus $3 Australian domestic postage (International by destination). I’ll be at Canberra’s Old Bus Depot Marketwith my books next Sunday 9 March, and again on 23 March. Come up and say hello if you’re there. I’d love to see you.